Vizit can be leveraged to greatly enhance your search experience in SharePoint by providing quick access to the document. 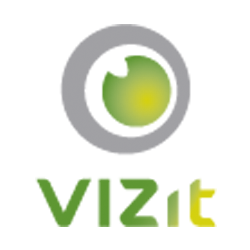 By using Vizit Essential, users can see documents quickly and find what they are looking for faster than ever. To add Vizit to your SharePoint Search results, place the Vizit WebPart on the search results page. The Vizit WebPart can only be added to WebPart pages. Because of this, Vizit can only be added to the search results page of a Search Center Site which is part of SharePoint Search Server and Search Server Express. Create a new Site Collection in Central Administration and choose the Search site template from the Enterprise tab. Once the Site Collection is created, make sure Vizit is activated at the site collection level. Perform a search from your newly created search page. On the results page, add the Vizit WebPart and save your changes to the page. After exiting Edit Mode, Vizit buttons will appear next to your search results and Vizit can be used.